We are meeting at the Clarence Inn, Brecon at 7pm after run training. All welcome - and a great chance to meet the many new faces in the Club. 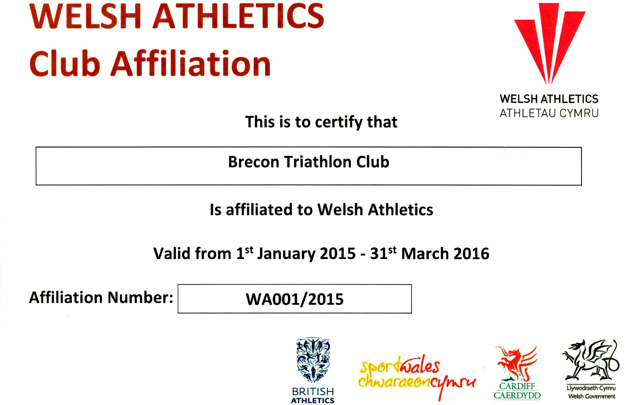 Lots on the agenda including Brecon Tri 2016. Please make an effort to attend as this is a big opportunity to progress the Club. Food menu and agenda will be emailed out nearer the date. The Club will pay for a meal and a drink, and you can bring along your subscription fee for 2016. The triathlon season in the UK is now coming to a close so it's time to evaluate your season and plan your winter training. We have a number of new members and Ironman Wales entry seems popular for 2016. Accordingly there is plenty of scope for developing our core training sessions further over the coming months. The success of such sessions does depend on a critical mass of members happy to attend each week, fortnight or month. Thoughts and ideas are always welcome. If any members are planning sessions and wish others to join in, please post well in advance on Facebook - the inclusion of a mapped Strava route or similar would be a great addition. 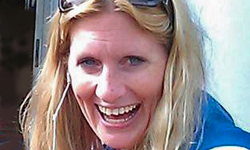 Booked sessions with coach Kylie Mansfield at Brecon Leisure Centre each Friday evening (see previous post). Brecon Wheelers ride out on Sunday mornings setting off from Brecon Leisure Centre at 8am. The pace varies with the ability of the riders out that day. Some of the faster members may head off for an extended route at the end. Cafe stops are generally not a feature - unless it's a special occasion. The Wheelers are welcoming, friendly and supportive. A good chance to meet them is the spinning class on a Thursday (at BLC). 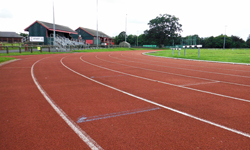 Track training is on Thursday evenings at Brecon Leisure Centre starting at 6pm. You're not going to improve speed without some form of interval training and there is no better place to start than Brecon track. It's free for club members but most chip in £2 on the night to support Brecon Athletics who lead the session. All abilities so don't be shy! Drop Adam Jones a message with any questions. 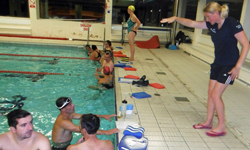 Fresh from her ETU Long Distance triathlon success our favourite coach Kylie Mansfield will be here on Fridays 7.30-8.30pm starting 18th September for 14 weeks. � to those that have completed previous blocks. � to those who want to book the whole 14 week block. All 14 sessions £45. All payment requests will be online via your club account. Occasional swims £5 (by prior arrangement). We will be using chip timing for the 2016 Brecon Sprint Triathlon (May 28th). Tri & Enter Events wil be supplying the chips but there will be no change in branding. Other changes for 2016 may include race tattoos, a speaker system and also a finishing race arch. 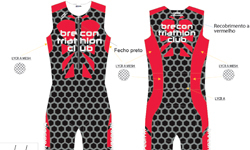 We can now confirm that the 2016 Brecon Sprint Triathlon will take place on Saturday May 28th. This is a Bank Holiday weekend and the first Saturday of the school summer half term holiday in Powys. 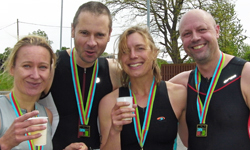 Congratulations to all triathletes who took part in the 2015 Brecon Sprint Triathlon. Saturday May 30th 2015 from 12.30pm. Please read the briefing carefully. You will note that repairs to the footpath through The Groves mean that there is no longer any need for the diversion which was in operation last year. It may be muddy through The Groves depending on the weather, so please choose your footwear accordingly. The run route now finishes in front of the Leisure Centre not on the running track. There is plenty of additional information on the website including a video of the bike course. The bike course is not on closed roads. The course is a figure of eight, so watch out for the sign at the central junction � turn left first time and straight on second time. For those of you still unfamiliar with the bike and run routes, the Club is organising one final recce on Wednesday 27 May at 7pm from Brecon Leisure Centre. Meet in the car park, all welcome. 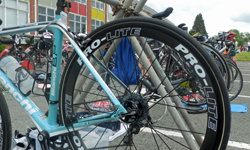 Every year there are a few punctures before the race starts, so don't forget to bring along a spare inner tube and pump, just in case. We will provide a swim cap for the pool and you may keep this if you wish. New for this year we will be offering a free massage after the race from Scott Cornish physio. Cotswold in Brecon are offering all competitors a 20% discount in their shop on the Saturday of the event, so phone ahead if you need to reserve any last minute purchases 01874 622551 Cotswold are also kindly providing prizes for the age group winners. The race will start at 1230 and registration will open from 1130. There is ample car parking in a field adjacent to the roundabout near the Leisure Centre - it will be well signed. We've just taken delivery of the new batch of club kit direct from Carvalho Custom. It's all labelled up and will be ready for members to collect from Likeys from 10am Friday (8/5/15). Likeys is open from Monday to Saturday 9.30am to 5.00pm - 2 The Struet. The kit is a tight fit and we've had one return already! Remember that if the kit doesn’t fit we will refund your costs and surplus kit will be advertised and resold in due course. All returns back to Likeys please. Our favourite coach Kylie Mansfield will be here on Fridays 7.30-8.30pm starting 10th April for 10 weeks..
� to those who want to book the whole 10 week block. Reply to the email sent out. We will confirm your place by email. Our Annual General Meeting which will take place at the Clarence Inn on Sunday, March 1st at 6pm. We are aiming for this to be a productive but social occasion and accordingly the Club will pay for a meal and drinks for each member. Please notify me (by website contact form) of your meal choice from the menu below so I can pass on to the Clarence in advance. Food will be served straight after the meeting at around 7pm. What would you like to see the Club doing or organising this year? Trips to the seaside? Trips to a 50m pool? Professional coaching sessions? Endurance Bike rides? Lectures? Pool discounts? VO2Max lab testing session? A Chat and a pint? Bring you ideas along to the AGM. If you have not already done so please pay your 2015 membership fee online. We welcome new members of all abilities. Annual membership runs until March 2016. This year we are moving to online payments. The Usk in January - Open water season starts early for Kirsten, Richard Ray, Amy & Cath Pendleton............Mad!!! !